Welcoming over 200 World War II and Korean War Veterans from their “Tour of Honor” in Washington, D.C., Frank Marchese, General Manager of Nationwide Healthcare Services in Brick, New Jersey, and Nancy Newman, Activities Director at Sterling Healthcare and Rehabilitation Center in Media, PA, attended the Tour of Honor, co-sponsored by Nationwide Healthcare Services and Parx Casino on October 2, 2017. 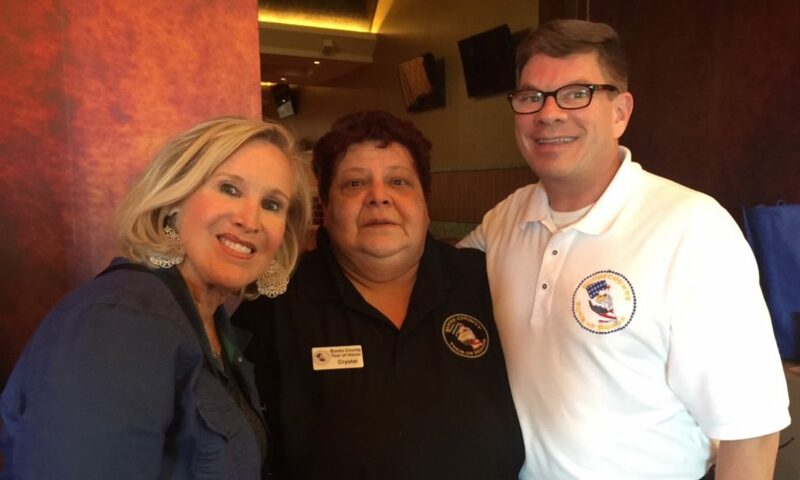 Left to Right: Nancy Newman, Crystal, a representative of Bucks County Tour of Honor, and Frank Marchese. 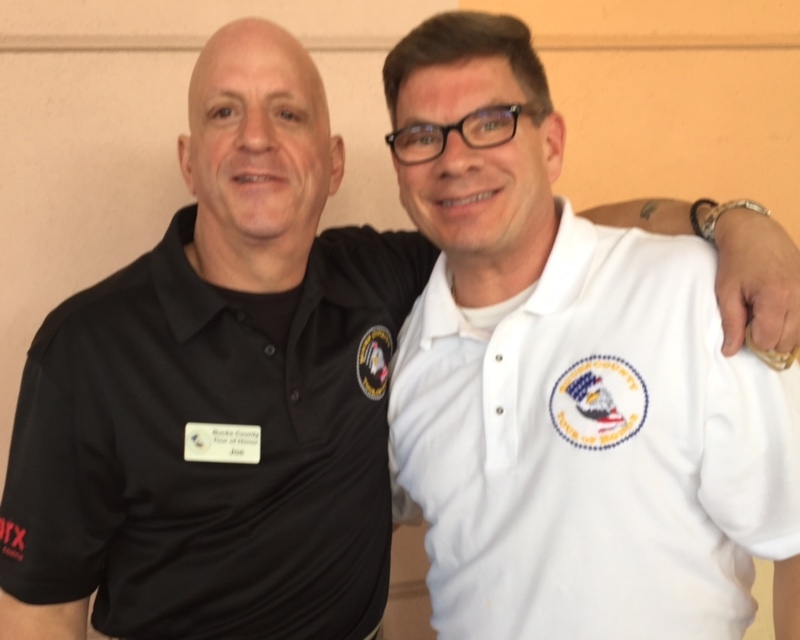 Frank Marchese, General Manager of Nationwide Healthcare Services, pictured with Joe Sciara – founder of the Tour of Honor.